The restaurant interior is small and cozy, with a great majority of the seating (not surprisingly) in a “counter’ style with tall stools. However, it is worth noting that there is more than one counter and some of the counters are separated like small tables, so you can still have a private dining experience. We started with a bottle of white wine, Bellotti Bianco, which our server recommended. 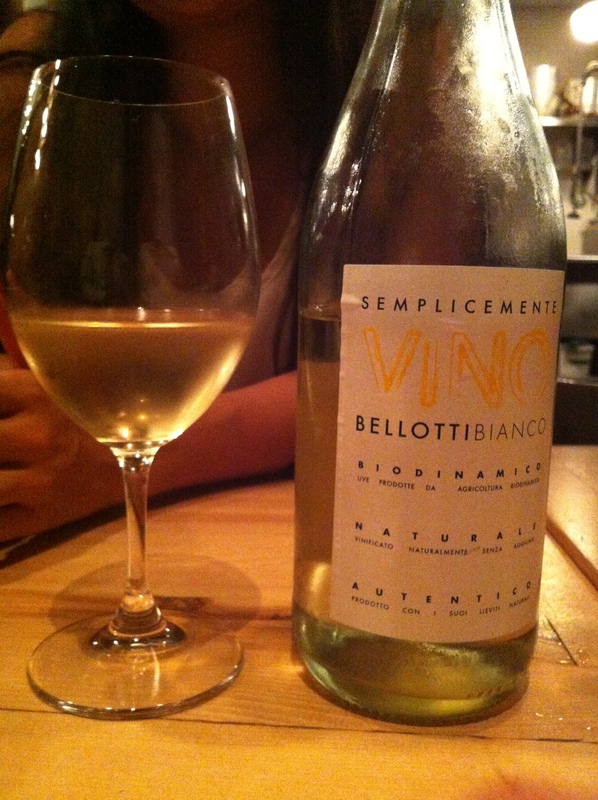 The wine was actually excellent and we finished & ordered more faster than we’d like to admit. Of course, we were not ones to come all this way and NOT order the charcuterie plate – large please! The meats were all cured in house and included an assortment from duck, to pork shoulder and more traditional salamis and liver. The meats were quite flavorful and salty (but not too salty) and carried some personality along. We went on to order the Cripsy pork flank, lemon foam, apples, coriander & radish and the Squash sous-vide, creamy ricotta, coeur confit, lemon vinaigrette, mint. 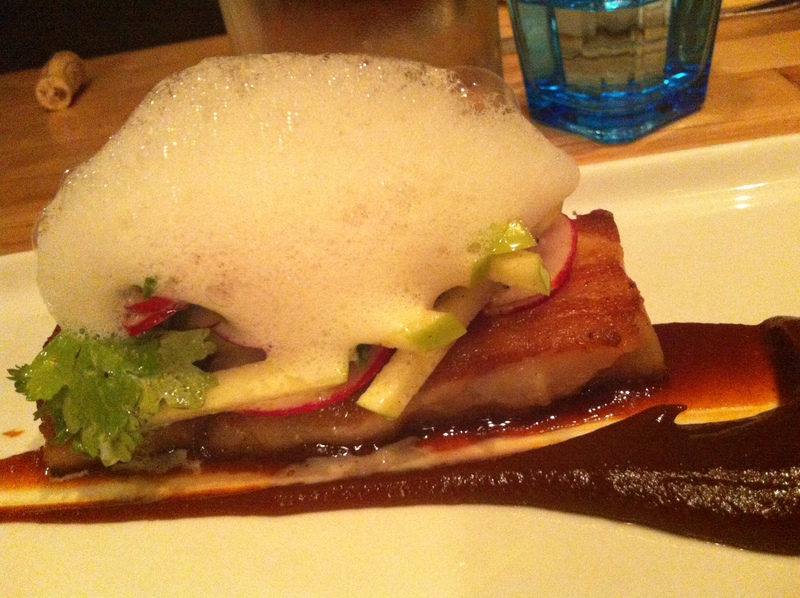 The pork flank was soft and fatty with a nice citrus taste from the foam – the apples and radish gave a distinct fall harvest feeling to the dish and we really enjoyed it. The sous-vide squash really caught our attention on the menu, which features quite a number of sous-vide dishes (see desserts to come!). 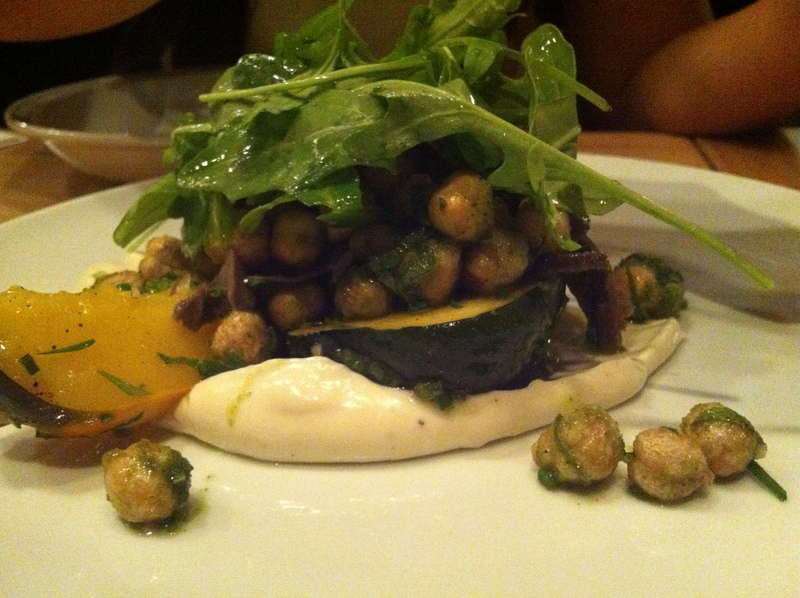 The portion of squash was hearty and irresistibly soft when eaten with the creamy ricotta and mint. Delicious and well executed on all fronts. We were very pleasantly surprised to see that every single item of the dessert menu looked amazing. So we ordered three desserts! 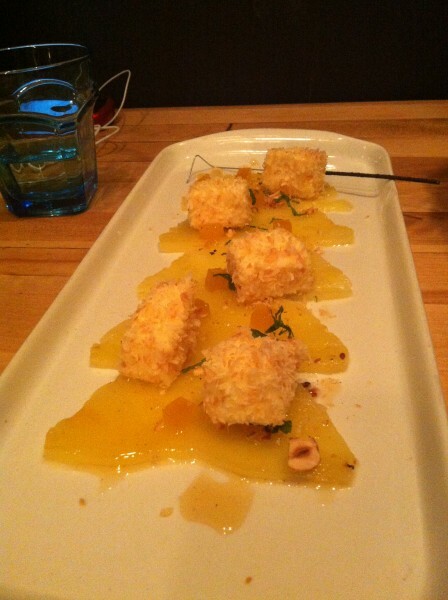 The sous-video pineapple with white chocolate mousse was definitely the most exotic of the three and each cube was delicious, we wanted more! The Almond tart with poached fruit was comforting and went well with the ginger and orange. My personal favorite, the Abiano Chocolate with red wine poached pear and marsala caramel was absolutely delicious. The jar was generously full and layered with fantastic sweet and sour and salty ingredients that all tasted delicious. Definitely getting this next time I pay a visit. Our service was friendly and speedy – and the atmosphere was warm and convivial. Definitely recommend making reservations ahead of time, this place is busy all the time and now we know why! Tags: Charcuterie, Dessert, forkandtell, Montreal, Tapas.